<< INTRO >> » Kennel Russian Fairy Tale. 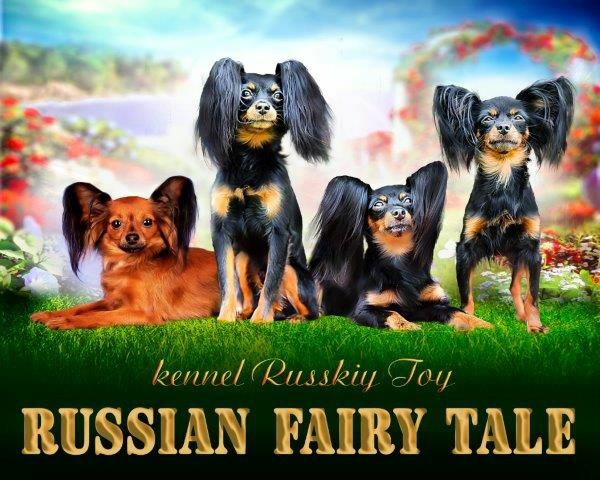 We are a small family kennel FCI recognized by St. Hubertus and that deals with the breeding of the rare breed "Russian Toy", "Russian Toy", "Russian Toy" all our dogs descend from the best bloodlines of Saint-Petersburg/Russia. We take part in various dog shows in Belgium, Europe and Russia. We are proud to achieve various Championship titles by our dogs. Our puppies are very loved and have their owners found in various countries of Europe. Belgium, Netherlands, France, Switzerland: Sweden, Norway, and England; even down to Australia. You have our support and advice concerning the transport of your puppy. 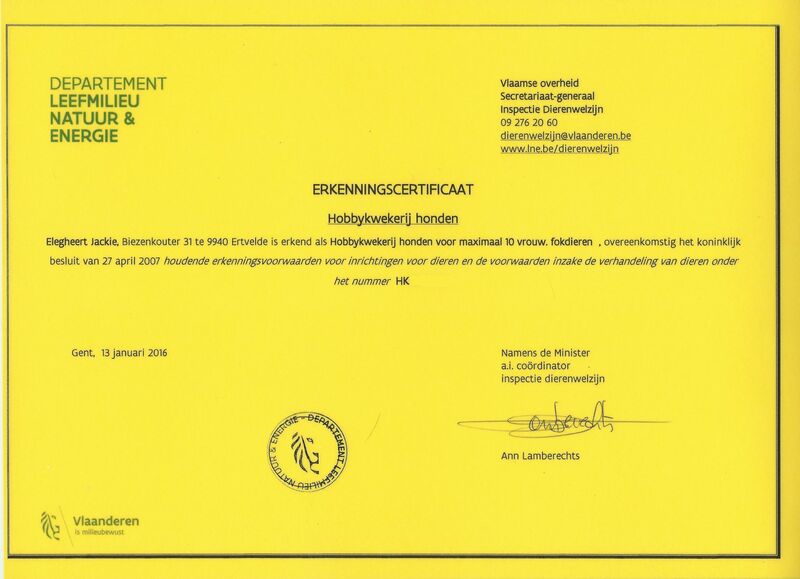 We guarantee the quality and the health of all our dogs and puppies, our breeding stock are tested on Patellaluxation and they are perfectly healthy! If kennel holder you have not only the responsibility about the breed, but you also have a social responsibility to the future owners. So it is in everyone's interests that the right puppy at the right owner ends up! It is therefore important to us that our dogs and puppies are brought up, social life and they stay with us in our living room, are they as soon as it can be taken on excursions and walks. They are pampered, socialised and learn to cope with children and other pets. 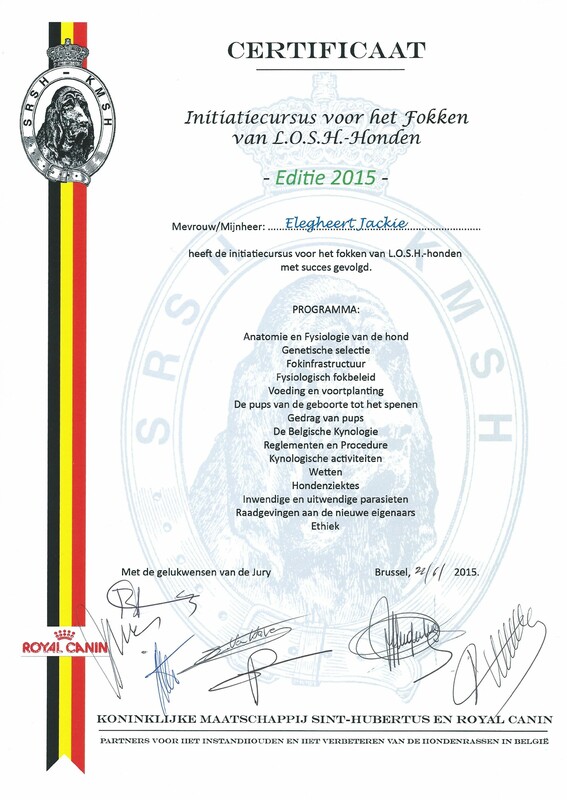 All our puppies are in possession of a FCI pedigree, European passport. They are routinely vaccinated and dewormed several times before they themselves by their future owner. We help you when choosing your puppy and give you all the information about the education and care. To facilitate your choice, you are always welcome to visit, after appointment, our kennel! You may contact us by telephone or mail and; We will answer all your questions.